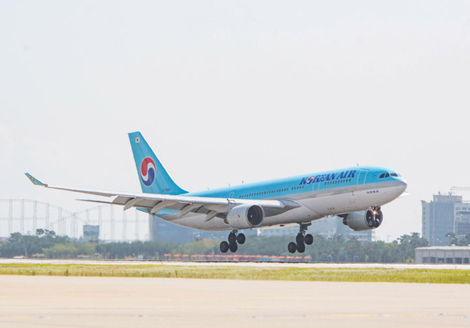 Korean Air is making changes to its network, which will see it launch new services to New Delhi and Tehran, while reducing frequency to Jakarta and axing its flights to Sao Paulo, Brazil. The regular direct flight to New Delhi is slated to commence in December (it currently serves the Indian city seasonally). New Delhi will be the second Indian destination that Korean Air serves with scheduled commercial flights, after Mumbai. The Skyteam member was also recently given permission to open up a route to Iran, following the lifting of economic sanctions against the West Asian state. Korean Air is set to finalise the timing for the launch of a Seoul–Tehran service after the completion of a study of market conditions and the financial trade environment. Concurrently, the South Korean carrier is looking to reduce and suspend select routes that are showing deficits. First is the reduction of flight frequency between Seoul and Jakarta from ten to seven flights weekly. The updated timetable will take effect in September, and will see flights KE625/KE626 cease to operate on Wednesday, Saturday and Sunday. Also in September, Korean Air will cancel its thrice-weekly service between Seoul and Sao Paulo, citing low demand following the economic downturn in Brazil. The carrier will however attempt to minimise the impact on its passengers by looking to strengthen its cooperation with US carriers that do serve Brazil.